Hallway Holiday Decorations On the Spot from misuni k on Vimeo. Coppell High School Emergency Medical Technician and Pharmacy tech teacher, Gary Beyers has set up a miniature holiday village and a large wintertime train set display in and out of A110. The Christmas village has fake snow and music, with a train track set up inside his room. A wreath hangs on Beyer’s door. Gary Beyer’s Emergency Medical Tech (EMT) and Pharmacy students are greeted by multi colored twinkle lights, a miniature holiday village and a large wintertime train set display as they enter his classroom. Beyer set up holiday decorations in and out of his room (A110) last week, at the end of Thanksgiving break. The train display inside his room is an extensive collection he has built up over the years, complete with tiny trees, buildings, people, artificial snow and of course, fast-moving toy trains. 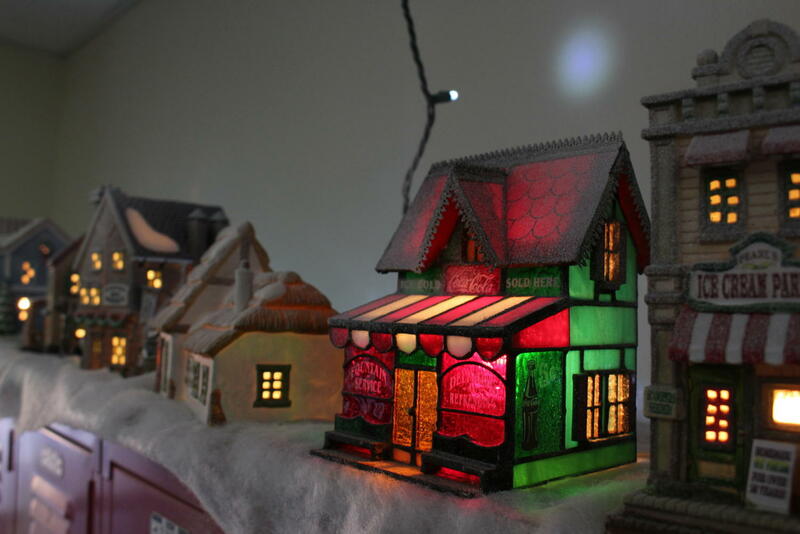 Beautifully decorated miniature buildings make a line atop the unoccupied lockers and layer of fake snow in the hallway, including a diner, ice cream parlor, popcorn factory and even a Lowe’s. The stores and houses glow and softly play music as their baubles spin, inspiring the feeling of wintertime on a small town block, with all the promise of Christmas on the horizon. “It’s something fun to do and it takes up some empty space, and shows that everybody should have some type of creative side,” Beyer said. Holiday decorating is meaningful to Beyer because it reminds him of his childhood. Though it is only his second year of teaching, he plans to continue the tradition. The decorations provide a good atmosphere for students. 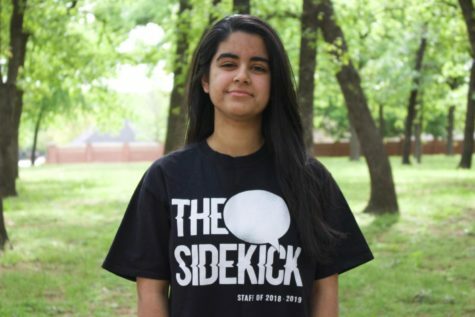 “They’re really cool, very elaborate and the details are very fun to look at,” HOSA president Katherine Oduguwa said. Beyer’s students are also encouraged to bring their own decorations for his room.